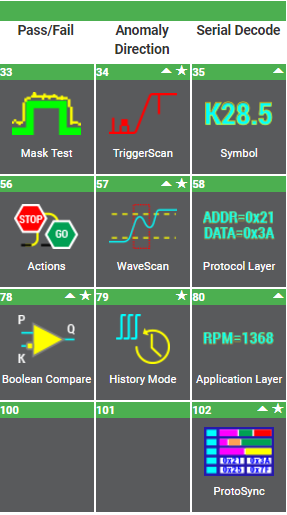 Oscilloscope users can find themselves managing a lot of detail in the course of driving their instruments. They need to keep track of instrument setups. They have to know standards-based compliance test routines backward and forward. Often, the need arises to remotely control the oscilloscope, interface it with other applications, and export/import acquisition data. And, importantly, the oscilloscope has to aid, and not hinder, collaboration with other members of the engineering team(s). And thus we arrive at the end of our survey of the Periodic Table of Oscilloscope Tools with the Document portion. Hardcopy: Use the oscilloscope's Print button to pre-define a documentation action and execute that action with the press of one button. Select to create a file of a screen image in a variety of formats; send an email with an attached screen image; copy data to a clipboard; print a document; or save the waveform data, screen images, panel setups, and the end user's annotations as a LabNotebook (see below). Oscilloscopes are central to many engineering tasks, but perhaps to none more so than debugging. Something is going on with your design but you don't know what it is. However, armed with an oscilloscope with the sort of sophisticated analysis tools found in Teledyne LeCroy's instruments, even Mr. Jones can get to the bottom of the problem. 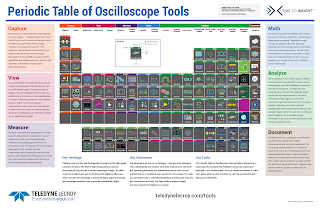 Let's continue our survey of the Periodic Table of Oscilloscope Tools with more on analysis tools. The path from problem to solution via oscilloscope moves through a number of stages. Doing so involves capture of a signal, determining how it's to be viewed, taking measurements of various parameters, and possibly applying math functions to the waveform. All of these stages depend on the roster of tools that the oscilloscope brings to bear on the process. 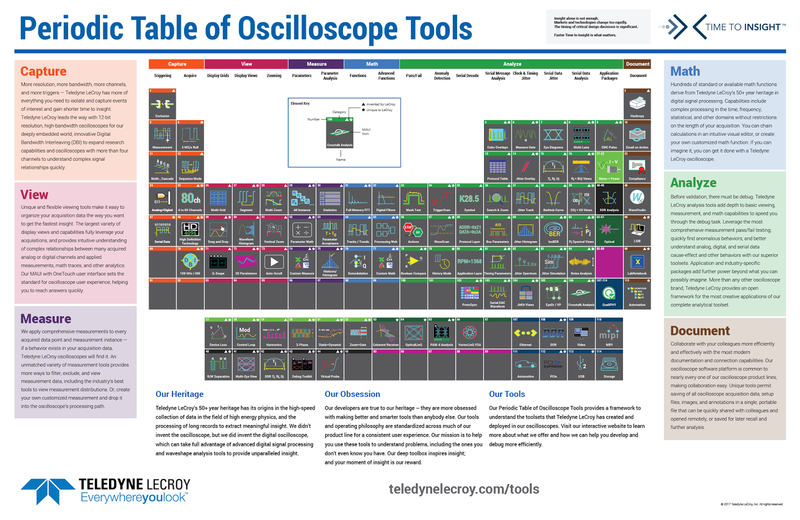 Teledyne LeCroy's Periodic Table of Oscilloscope Tools represents our view of the world of such tools. The usefulness of oscilloscopes skyrocketed once digital signal processing began to be applied to acquired waveforms. By applying DSP, oscilloscopes could now perform complex processing in the time, frequency, statistical, and other domains, all while imposing no restrictions on acquisition length. Here at Teledyne LeCroy, we collectively refer to these DSP-based processes as Math functions. 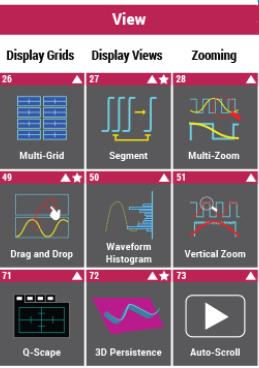 We've presented those functions, along with all of the other functions our instruments perform, in chart form in our Periodic Table of Oscilloscope Tools. An oscilloscope is only as good as the tools it provides to users for acquiring, viewing, measuring, analyzing, and documenting waveforms. 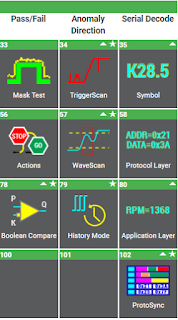 We present an overview of our deep collection of oscilloscope tools in our Periodic Table of Oscilloscope Tools, and in prior Test Happens posts, we've surveyed the Capture and View categories. Today we'll break down the Measure section of the Table. We began our survey of Teledyne LeCroy's Periodic Table of Oscilloscope Tools by reviewing our set of Capture tools, which help to isolate and capture signals of interest and shorten time to insight. Now we'll turn our attention to the next grouping of tools: the View tools. Early analog oscilloscopes were quite a breakthrough in their day. For the first time, engineers and hobbyists were afforded the ability to "see" electrical signals displayed on a CRT as a function of voltage vs. time. The advent of analog oscilloscopes meant a new way to think about, compare, and visualize signals.